I am officially calling 2017 The Year of What Is. So, what does this mean exactly? Think of the saying: “It Is What It Is.” For years, I didn’t like this saying because I thought it was a way of sweeping things under the rug. I thought it was a shrug of the shoulders and the allowing of something to pass by that maybe should be addressed, understood or discussed. I found that friends, family, people I look up to- would all use the phrase when they felt like something was out of their control or couldn’t be fixed, changed etc. When I think deeper about this now, I think the reason I didn’t like the saying stems from my own inability to believe that some things are just what they are. You cannot change them. Whether it was something that happened to you, a relationship with someone in your life or an outcome to something you wish had been different. It’s not what you want it to be- It is what it is. In a recent conversation with a friend, we got to talking about certain situations in our own lives currently that rather than trying to understand and fight, that we needed to accept and understand that these things can’t be what we want them to be. They are going to be what they are. I don’t know why or how, but in that moment the saying meant more to me than it ever had. “It Is What It Is,” is not a shrugging of the shoulders, rather, it’s the acceptance that something cannot become what you want it to be just because you want it to be that way or because you want to understand it. In a relationship that means a lot to you, in circumstances at work/home, something you really want for yourself, the lose of a loved one, the pain of a past experience- it is WHAT IS. However- the thing we are able to control in this experience, is our reaction to it. How we proceed with our feelings and the way we view it (the friendship, job, argument, relationship, shortcoming, failure, pain), is up to us. You can’t always change “it,” but you can change the way you feel about it. I’ve always been one of those people who tried to help change others, if I felt like they needed “fixing.” Whether it was an old boyfriend, troubled friend, a coworker- the therapist in me was always at work trying my best to be there for that person and often offered 2nd, 3rd, 4th chances in the pursuit of trying to understand them and help them become a better person. Some might say I was doing that to feed some of my own ego, and that while I was trying to help them, there was some gain I was trying to obtain for myself. I won’t argue that- I know it has felt good to know you would have contributed to someones happiness or self-discovery, so I won’t say this is too far off track. But I can say, that “fixing” others, or helping them change for what you think is best, is exhausting. This is why accepting WHAT IS is so important. Even with the best intentions, putting so much energy into trying to help, understand, or change someone else or situations only depletes the energy you’re giving back to yourself… and I am finally beginning to understand that. 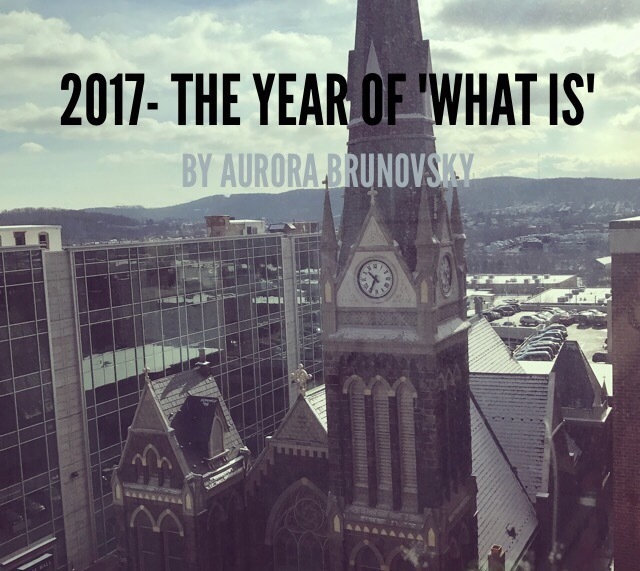 So I am saying 2017 is the Year of What Is, but I plan on moving forward with the idea that I can’t always control or understand things, but than I can control how I view them and how I allow them to effect me. As someone who has a strong faith and often turns to prayer for solace, comfort and direction, I think this is a strong tool to help these feelings and understanding that you won’t always be able to control the outcome. I hope this makes sense– maybe it even enlightened some of your thoughts too! If so, please let me know in the comments and I will reply shortly after. Happy 2017 to all of you!.. best wishes for a healthy new year and accepting what is. Photo cred: I took this photo of the beautiful “Liberty Bell Church” on Hamilton St, Allentown Pennsylvania from my office. Respect. This word is specifically important to me this week, as I’ve seen examples of it all around me and witnessed situations where I saw great respect and places where I wished I saw more respect. It’s amazing, because like many things, I feel respect is something we learn as we grow up. What do our parents, teachers, role models, heroes teach us about how we should give/take respect? Whether it’s respecting ourselves, others, our job, our relationships, our property, our hearts, etc. we’ve learned what we give and what we accept from somewhere. 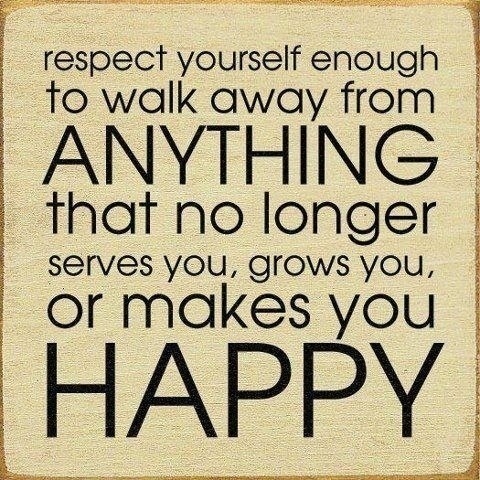 Growing up I was taught to always respect myself and others will respect me. This came from my family and my karate academy, which taught me how to carry myself and how to put positivity forward. Of course, you can’t control others and their upbringing, but if you emulate that you accept nothing but respect, others will only give that to you. When you experience disrespect, that’s where you need to step back and evaluate where that person or situation stands in your life. Meaning, is this something worth salvaging, or am I showing this person/job/relationship that I’m accepting of their actions and think I’m deserving of them. We all have someone in our lives who may have shown disrespect, but they’re deserving of our understanding and discussion to make things better– I’m not talking about these people. This would mean we’re all perfect, and I know we’re not (as a 25 year old, I still get the respect speech from a parent every so often). I think what I want to focus on mainly, are the people/relationships/job/situations where we are continually not getting the respect we deserve and are putting up with it. We’re displaying the message I WILL TAKE WHATEVER YOU THROW AT ME and leaving these moments feeling less than what we deserve. I have so many places in my life where I feel respected so much, that it’s easy for me to spot when I’m not feeling that in a specific situation or moment. Not all of us are in this boat, but nonetheless YOU deserve to look into these areas of your life and demand better. 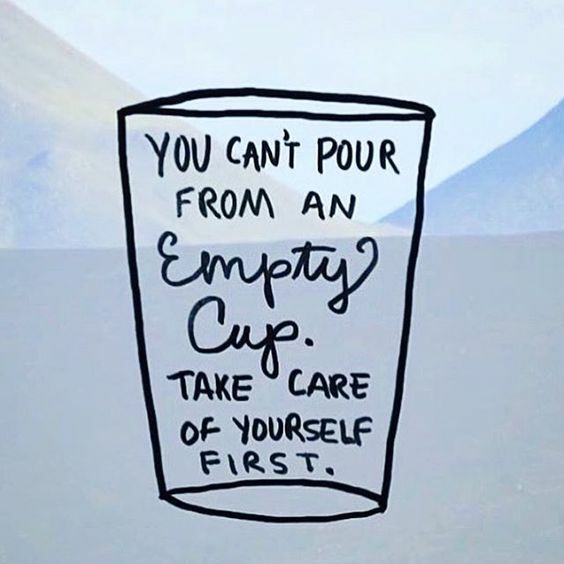 We all deserve healthy environments where we feel respected, and furthermore, where we DEMAND respect, by the way we treat ourselves and encourage others to treat us. Are you strong enough to let go of the disrespect in your life? And can you identify it? You can!.. And you owe it to yourself to do so. Respect yourself, and each other.